PLAY UP, a multi-brand beauty concept store located at Parkson Paradigm Mall, Johor Bahru has announced the arrival of VT x BTS Collagen Pact edition to Malaysia shores. 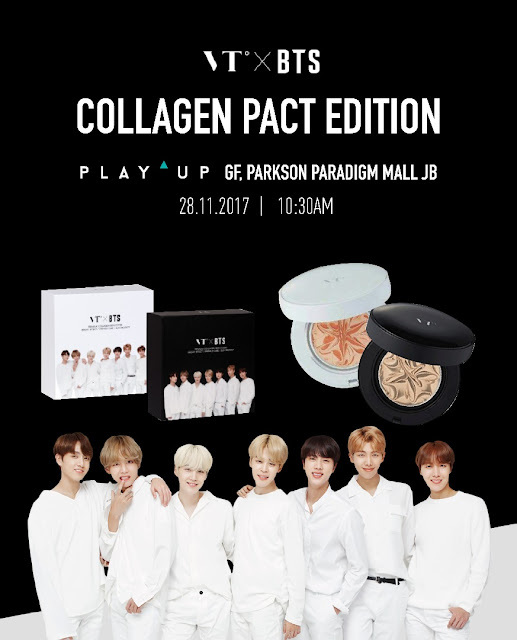 Starting from 28 November (Tuesday), VT x BTS Collagen Pact will be available to purchase. VT x BTS Collagen Pact is a collaboration between VT Cosmetic and BTS that exclusively released in South Korea. The collagen pact comes in two different shades - the black version and the white version. The black version gives a matte finish which suitable for oily skin type while the white version gives a bright and shining marble finish which would be a better fit for dryer skin types. 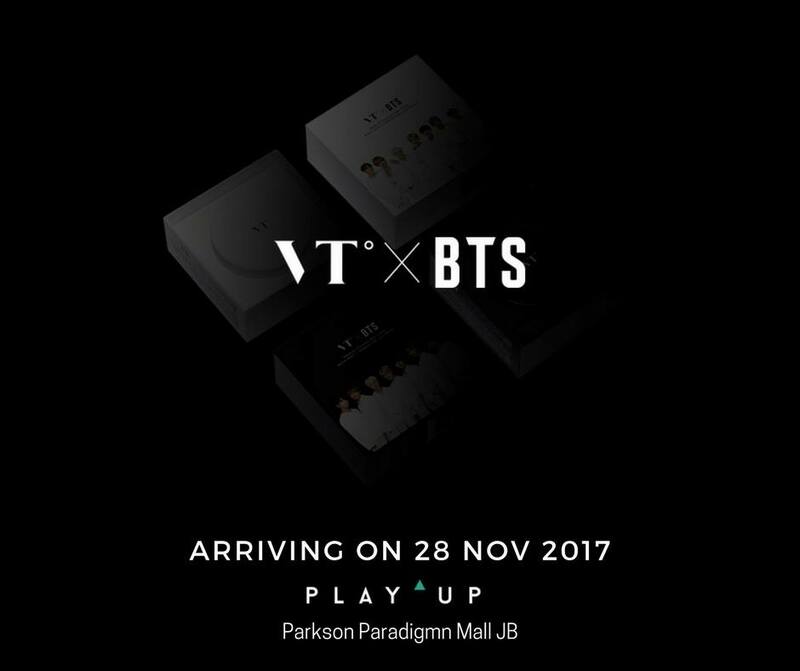 PLAY UP is a beauty store with more than 10,000 beauty products that are under RM50 and has over 150 international and local brands in store.